This feature my Interview with 10 times ASP World Champ Kelly Slater ! It was a huge privilege for me to conduct this interview with “The Legend” exclusively for the Austrian Sport Magazin during the Telstra Drug Aware Pro 2011 in Margaret River, a Mens PRIME WQS and ASP 6-star event, that was held from April 3rd-10th in Western Australia. I’ve asked Kelly about his career, surfing and the ASP Tour, perhaps another title, his dreams, Pamela Anderson and more 🙂 . 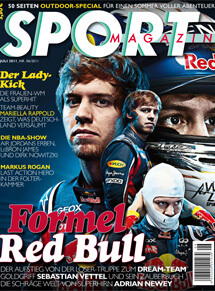 So don’t miss out on it and get youself a copy of Austria’s greatest mag!